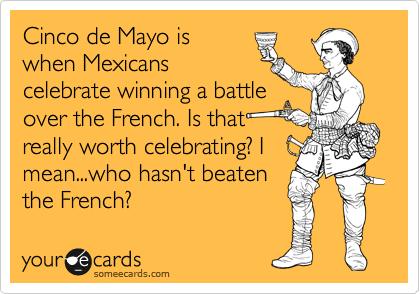 Cinco de Mayo is the Spanish national holiday in Mexico that celebrates the defeat of French forces of Napoleon III by the Mexican military in 1862, which is known as the Battle of Puebla. 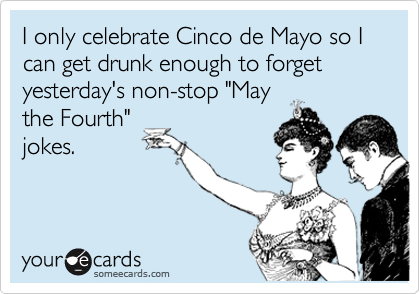 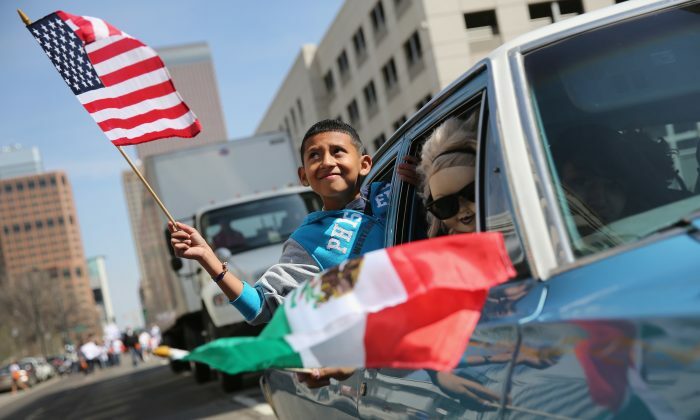 “Fifth of May” is celebrated in Mexico, especially in Puebla, with parades, speeches by dignitaries, with some cities hosting reenactments of the battle. 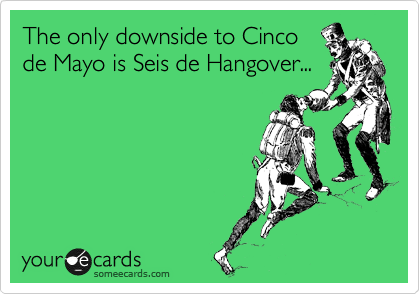 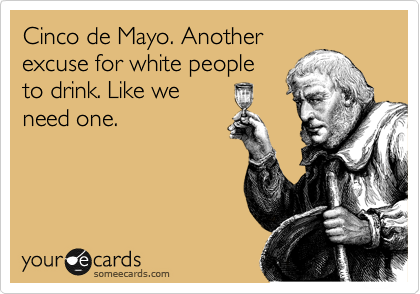 Here are some ECards and other jokes created in honor of the day.